Galerie van Gelder, Amsterdam p.o.r. ‘Capturing part of a landscape in a mirror I’m holding is very close to photography. 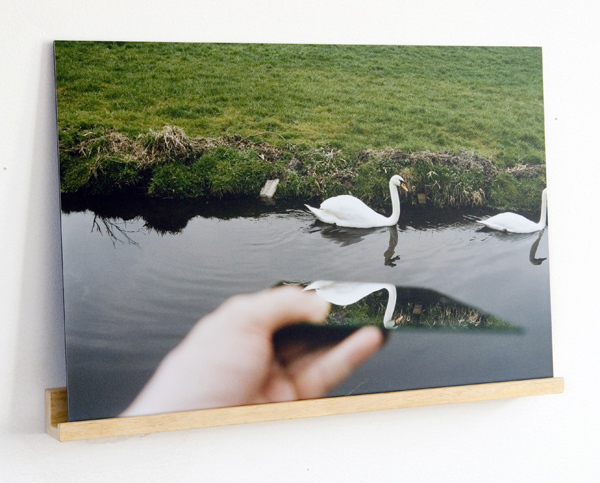 In this case I got a swan inverted in my mirror,’ Marijke van Warmerdam says. An identical photo is pasted upside down on the reverse side. When the panel is turned around, the image initially seems virtually unchanged.